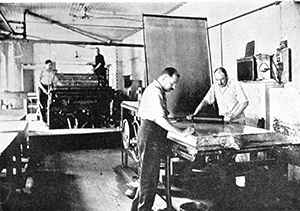 How NOAA used to do it: lithographing charts on printing presses in 1908. Today, we make Print On Demand charts to ship to you, and stock a selection of pre-printed charts in our stores. 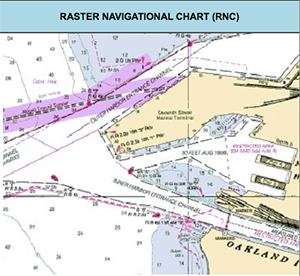 You can also download Raster Navigational Charts: NOAA RNC® and Electronic Navigational Charts: NOAA ENC® from NOAA for free. Photo: NOAA. 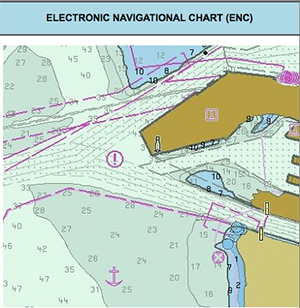 Paper charts are key navigational tools on nearly every vessel, even with advances in technology that make digital electronic charts affordable and convenient. They serve as a primary means to plan and record routes, an accurate backup to electronic charts, and a reliable source of interesting information about the waters where you enjoy boating. Print-on-demand technology now makes paper charts as up-to-date as possible, with the latest Notice to Mariners, corrections, and NGA or NOAA safety updates available daily. You can order them online, and we’ll print them to order and ship them to you from our warehouse. West Marine also now sells traditional rolled printed charts in our stores. These do not have the most up-to-date information, but you can take them with you immediately, so you have two choices. Charts of U.S. waters are created by the National Oceanographic & Atmospheric Administration (NOAA), which produces the digital files for more than 1000 charts covering the U.S. coastlines and major waterways, plus Coast Pilots, and tide and current tables. 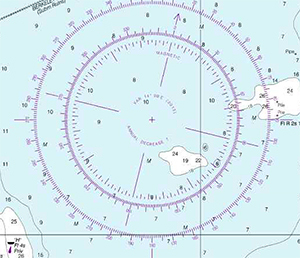 The National Geospatial-Intelligence Agency (NGA), produces charts of international waters, lists of lights, sailing directions, sight reduction tables, pilot charts and other publications to complement charts. The Canadian Hydrographic Service (CHS) is the source for charts of Canadian waters. Since U.S. charts are in the public domain and are not subject to copyright law, many private companies produce them in paper and digital form. NOAA also offers their own digital versions of their paper charts, available for free download at: www.nauticalcharts.noaa.gov/index.html. Print On Demand charts are printed on the day we ship them to you, so they’re as up-to-date as possible. Scale: Common chart scales range from large to small (1:10,000 to 1:2,000,000, for example). Remember, a large-scale chart covers a small area, and a small-scale covers a large area. The larger the second number in the ratio, the smaller the scale, and the larger the geographical area that is covered. Kinds of charts: World and international sailing charts have the smallest scale and are used when voyaging across oceans or over a long stretch of coastline. For example, Chart 530 covers the huge area from the Aleutian Islands to Mexico and Hawaii at a scale of 1:4,860,700 with very little detail (1" = 77 miles). General charts are considered coastal cruising charts with a scale between 1:150,000 (1" = 2.4 miles) and 1:600,000 (1" = 10 miles). They show much more detail than international sailing charts but still not enough for navigating close to shore or sailing into port. Coast charts provide excellent detail for coastal navigation and all but the smallest harbors at a scale from 1:40,000 to 1:80,000 (1" = 0.63 to 1.26 miles). Harbor charts show a relatively small area in great detail and should be used when making port. Often they have insets that show critical areas at a scale of 1:10,000. Enhanced Content: Many private companies have taken the core data from government charts and enhanced it to provide additional value. Waterproof charts are printed on synthetic paper for use on deck or in small boats. They are often printed on both sides, so you get twice as much information on each chart. Chartbooks provide all the charts for a single area, the Intracoastal Waterway or Lake Michigan, for example, so you can keep your entire route in one space-saving book. Fish/dive charts show GPS positions for reefs, fishing grounds and wrecks. Latest editions: Many charts change frequently, so look for the edition date, which is printed at the bottom. A list of the most current editions of NOAA charts is available here. Chart Catalogs: NOAA, NGA and CHS publish free chart catalogs, which we have available in our warehouses. These show the coverage areas for each chart and are essential for planning a trip. Chart Number 1: If you are unfamiliar with reading charts, download a .PDF version below of Chart No. 1, Symbols, Abbreviations, and Terms, which explains the basic chart elements used on nautical charts. Depth: Water depth may be given in feet, fathoms or meters, and is generally measured at low water. This means that it is a conservative measure of whether you’ll run aground; generally the tide level will be higher and you’ll have some breathing room. The Compass Rose: There are usually several compass roses printed on a chart, oriented to the North. Direction is measured as a straight line from the center of the circle to a degree number on the compass rose. The true direction is printed around the outside, the magnetic direction around the inside of the compass rose. The variation, which is the difference between true and magnetic North, is printed in the middle of the rose, along with the annual change. Two electronic chart formats you can download from NOAA. Looks like paper chart; familiar to paper chart users. Charts from Maptech are also in the Raster format. Categories of data can be suppressed by software. For example, you can just show depth contours and suppress specific text. Print-On-Demand charts provide the latest updated information, and have become the standard for timely accuracy. They include all the latest local and regional Notices To Mariners corrections, accurate at the time of printing. Because of this guaranteed up-to-date accuracy, Print-On-Demand charts add an important level of safety for mariners, since coastlines gradually change, sandbars move, storms rearrange submerged hazards and the government alters its regional information. 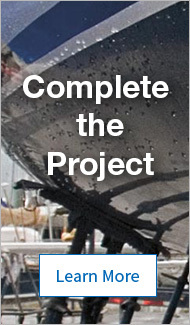 These charts are approved by NOAA, meet USCG carriage requirements for commercial vessels, and are SOLAS compliant. Full size Print-On-Demand charts are single-sided, either 36" or 42" wide, and between 36" and 60" in length. Distinctive graphics and vibrant colors make them easy to read, and they include added safety information, boating tips and emergency procedures. Our Print-On-Demand charts are printed on heavy-duty water-resistant paper and are shipped directly to you. Print-On-Demand charts are also available in-store at our Ft. Lauderdale and San Diego locations. 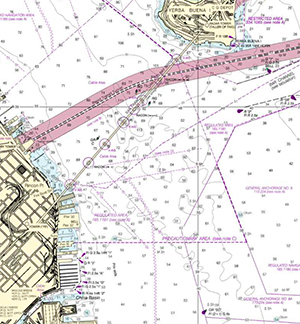 The government discontinued printing lithographic nautical charts as of April 13, 2014. However, some private companies are now producing these standard paper charts, and West Marine stocks them in our stores. If you need a local chart of your area, right now, we may have what you are looking for in your nearest store.